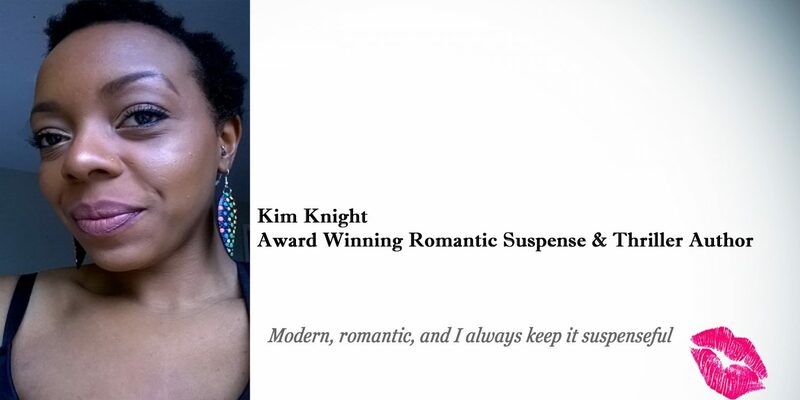 As you know guys, my romantic suspense novel A Stranger In France has been nominated for the award, “Best Romance Novel 2017.” I found out today, this is so amazing just to be considered for such an award. I was in the lead, now I’m neck and neck in second place ,just seven votes under the present author… WHO IS TEAM KIM? GIMMIE YOUR VOTE! I’D LOVE IT. Well between you and I, the month of July, for National Novel Writing Month for me pretty much sucked. LOL. But, I have a really good excuse for sucking at my second attempted at Nanowrimo. Like you know two books were released in July, within the space of one week of each other. That in itself was madness. Writing, editing, editing, writing, proof reading. Jezzz, I’ve actually never worked so hard in one month as a writer! All against the backdrop of motherhood and family life. I ‘m a complete nutcase! The evening before release day, I turn my attention to my book cover. My hands took on a mind of their own, and I revamped it! The last one was the first draft, then I wrote the book and never looked back. I can’t even upload the damn thing, Amazon locked my book for changes, until the official release day. But Here it is! I love designing stuff and drawing. Clothes, shoes anything goes. One day I’d love to design a whole make-up and clothing range… as well as book covers. It’s almost release day!! Well In the UK anyway, it’s nearly midnight. Thank you fellow author Kristina Stanley for posting her sign up! You reminded me about Camp NANOWRIMO (that’s national novel writing month). I joined in last year also. This is my second time. If you’re an author/ writer will you also sign up? And try to pen a short novella or finish off your current one in July? Book #2 is released in July. My goal is to write book #3 of my Romance Set in Paradise Series In July. I cooked up my idea for the story over the weekend, something just came to me for the next stand along story. I noted it down in my notebook as always and thought I’ll come back to this story for book #3. As the Romance Series is short novella length books, my goal is about 25,000 words max to write in July. Could be less but around 25,000 that is a good length for short stories. (if you’re a novel writer) this seems short! Good luck if you join in. Leave me a comment if you do, I’d love to connect with fellow participants again this year. I had a lovely time as Author Jane Risdon’s guest this week. She made me feel very welcome. She asked me a lot about my experience with traditional and self-publishing, and what tips I’d give to writers who shy away from using a multi-cultural line up for the characters. Good morning from a sun kissed London! Today is set to be the hottest day of the year so far across the UK’s capital, and of course I’m thrilled. I’m not basking in the powerful heat of the Caribbean, but London will do for now. As of 3:00 a.m this morning my next romance novella Havana Heat is complete! I had a burst of creative stamina, which took me through until an ungodly hour writing. But I am on a massive high I finished writing before my deadline. Which means a new earlier release date 12th May 2017 on Amazon, Smashwords, Barnes and Noble, Apple ibooks and many more platforms! Later on tonight, I will crack on with book #2 of #4 of my Romance in Paradise series. I hope to release book #2 shortly after Havana Heat. Your summer romantic, suspenseful and steamy reads are on their way! In the mean time you can transport yourself to the island of Cuba with some chapter previews by clicking here and here And if you fancy a feel good romance novella set in London around Christmas grab a free download of Not Just For Christmas on Smashwords .com by clicking here. Have a wonderful Sunday and I hope it’s filled with sunshine, where ever you are in the world. I’ll catch you all next week. Havana Heat is book one of the Romance in Paradise Series of modern ,steamy, suspenseful and romantic stories, set in exotic locations around the world. In Havana Heat readers are transported to the paradise of Cuba’s capital Havana, following the romantic heat build between Spaniard Detective Sebastian Garcia, and London born and bred wedding planner Melinda Jones. Melinda’s path crosses with the handsome and charming Detective at Casa de Amour Hotel as a guest at her client’s exotic location wedding. Both characters are in search of a slice of paradise, away from their own troubled love life back home. Once their paths cross the romance and sizzle begins. When all hell breaks out at Casa de Amour Hotel, and conflict builds over their past, both characters are faced with a decision to take a risk and see out their romance, or walk away forever asking themselves what could have been. Romance, thrills and excitement await in book one of this modern romance series set in a Caribbean paradise. I’ve been quiet I know, no writing prompts, short stories or poems blogged. I have been dormant. But never mind me, behind the scene I’ve been tapping away at my keyboard since my return from France. I’m (very) please to share with you the cover for my next romance novella. Book one of a series I’ve been working on called Romance in Paradise . Romance in Paradise is a series of four modern, romantic, suspenseful and steamy stories set in some of the most exotic locations around the world. Book one is Havana Heat, set in Cuba in the Caribbean… writing this book and brainstorming for the others has put me in the mood to sip some rum on a beach somewhere hot, I’m loving the research and writing needed to transport readers into a slice of paradise. A free chapter download will follow shortly, stay tuned to the blog…Your summer romance reads are on their way! Havana Heat is book one of the Romance in Paradise Series of modern,steamy, suspenseful and romantic stories, set in exotic locations around the world. In Havana Heat readers are transported to the paradise of Cuba’s capital Havana, following the romance and heat build between Spaniard Detective Sebastian Garcia, and London born and bred wedding planner Melinda Jones.Melinda’s path crosses with the handsome and charming Detective at Casa de Amour Hotel as a guest at her client’s exotic location wedding. Both characters are in search of a slice of paradise, away from their own troubled love life back home in London. Once their paths cross the romance and sizzle begins. When all hell breaks out at Casa de Amour Hotel, and conflict builds over their past both characters are faced with a decision to take a risk and see out their romance, or walk away forever asking themselves what could have been. Romance, thrills and excitement await in book one of this modern romance series set in paradise in the Caribbean. Release date: 18th May 2017 on Amazon, Smashwords, Barnes and Noble and many more platforms!